The coaming with the plug-Ins disconnected for folding. 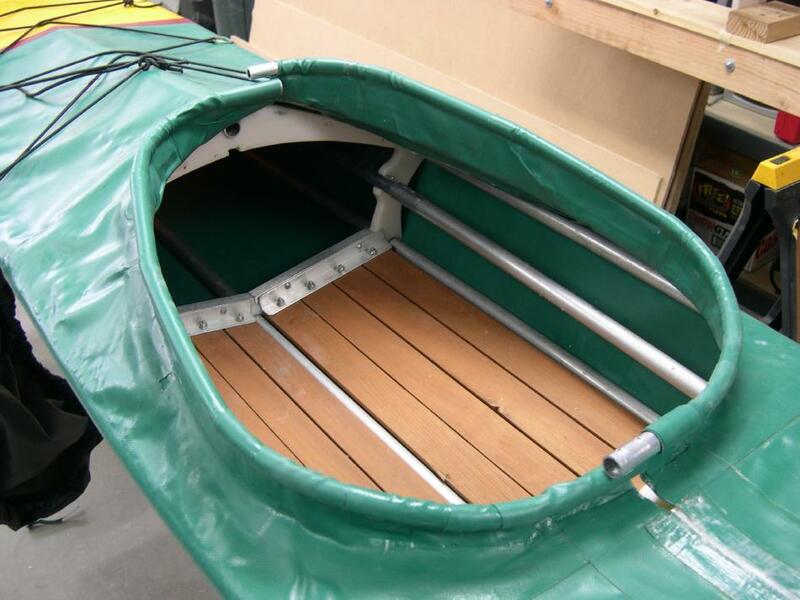 When folded, the aluminum coaming lays flat and stays attached to the skin. This saves weight and virtually eliminates any assembly.